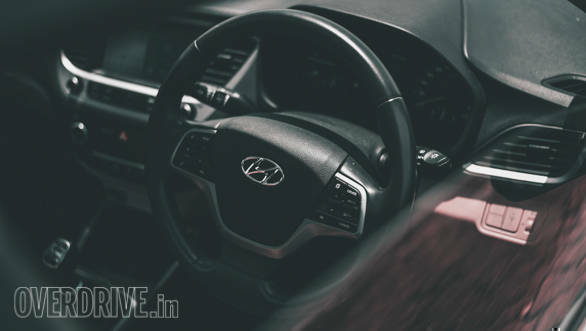 Hyundai India has launched an entry level 1.4-litre diesel engine option for its Hyundai verna sedan. This diesel engine is available in the lower spec E and EX trim. The E trim is priced at Rs 9.29 lakh while the EX trim costs Rs 9.99 lakh (both prices are ex-showroom Delhi). The 1.4 litre U2 four cylinder diesel engine is the same as the one found in the i20 hatchback and puts out 90PS and 220 Nm. The company has launched two other variants as well. The first of these is the new SX+ trim which is powered by the 1.6-litre petrol and diesel motors. This trim is based on the SX trim but gets additional features only seen on the automatic cars. These include a leather-wrapped steering wheel and gearknob, an electric sunroof, wireless phone charging and a manual rear curtain. Another new addition is that the top-spec SX(O) variant now comes with the option of the diesel engine. This variant is priced at Rs 13.99 lakh. This variant get notable features like a six airbags, a ventilated front seat and telescopic, reach adjustable steering. Further, two new colour options have also been added to the line-up, Typhoon Silver and Marina Blue. The 1.6 litre diesel engine in Verna puts out 128PS and 260 Nm while the petrol motor makes 123 PS and 151 Nm. 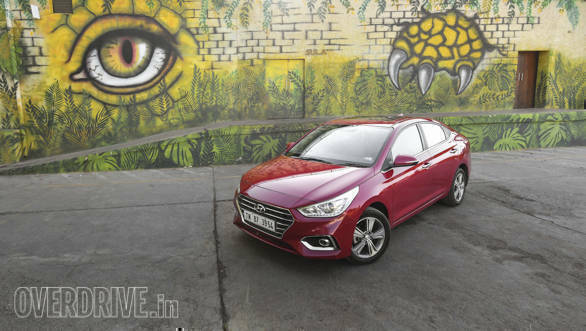 These additions help lower the entry price for buyers looking for a diesel engined Verna. The other variants also round off the range and provide more options for buyers.